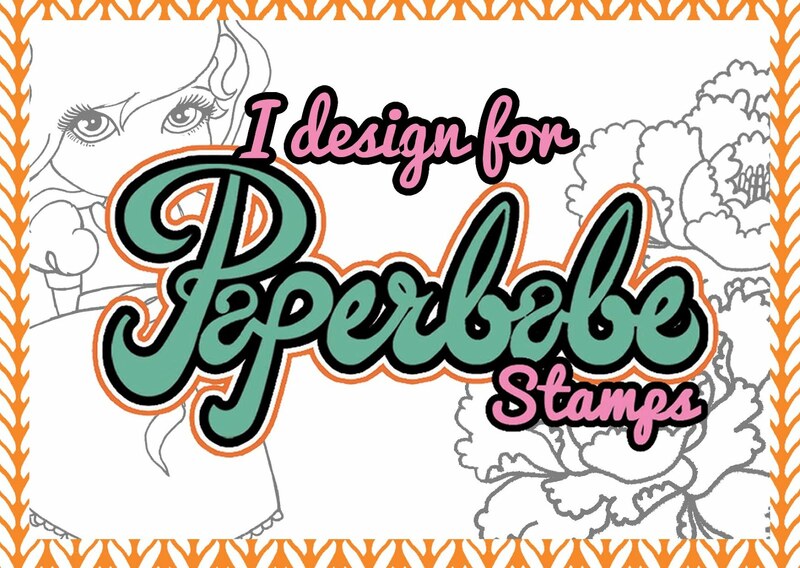 I can not even begin to describe how excited I am about today's post, I am showcasing my Design Team samples for the new release from Paperbabe Stamps. I have made so many samples that I am going to need to spread them out over a few posts, but here's a few for today. First up I have made a Nativity style piece of home decor using the Cute Nativity stamps and matching substrates. Kim designed the to be used as a Nativity set using 4 layers of MDF per character but I decided to stretch them a little and sacrifice one of the layer so I could make this project. I base coated the MDF with white acrylic paint before stamping and heat embossing the characters. I use my Spectrum Aqua pens to colour them in, the colour sits perfectly on the mdf and gives a nice finish. Are you ready for another project? 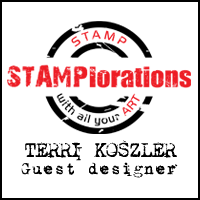 Next up I have a card made with the doodle stars mini stamps. I created a background with distress inks and Brusho acrylic mists before stamping the stars. The sentiment is from the Sparkle Bright stamp set. I matted and layered using silver mirror and black card to complement the look. Lastly I have a card I made with the Nativity stamps and one of the new mini crown stamps. I used the crown to create a background in light grey ink and then stamped 3 little kings which I coloured Spectrum Noir pencils and then fussy cut. The sentiment is also from the Sparkle Bright set. I edged the background and sentiment using a grey pen before some of the elements to foam tape to add depth and dimension. How cool is this new release? I still have more projects to share but I will bring you more next week. Here's a little peek at a project coming your on Monday using the newly released Paperangel MDF substrates. Be sure to check back on Monday morning for details of how I made them and for the full reveal. Wow, wasn't that a blast? 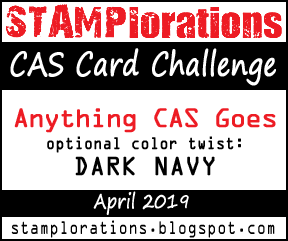 I still have a few more cards that I will add over the next week so keep your eyes peeled for those. Great samples - your nativity scene is fabulous, really lovely figures and a super nativity card too.